The Washington Metropolitan Area Transit Authority general manager and CEO has written a letter to the public outlining the steps the department has taken since a deadly smoke incident one year ago. Paul Wiedefeld said numerous actions to make Metro safer have been implemented since a woman, from Virginia, was killed and more than 80 were taken to the hospital on Jan. 11, 2015. 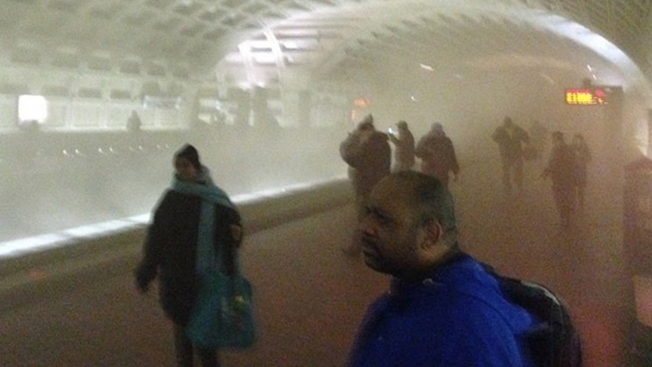 An electrical malfunction filled a Metro tunnel with smoke near the L’Enfant Plaza Metro Station, causing fear and chaos in the darkness. A letter from the general manager was published in the Express on Monday, Jan. 11. Wiedefeld said coordination with emergency responders, a specific problem during the 2015 incident, has improved, including a new fire department liaison stationed in Metro's rail operations control center. He said additional training, drills and a new fire department liaison stationed in Metro's rail operations control center is making train usage safer. 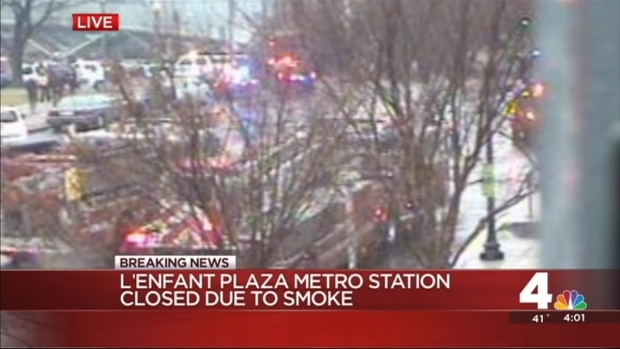 News4's Scott MacFarlane has the latest on the closure of the L'Enfant Metro station in downtown DC, after reports of smoke in the tunnels. Additionally, Wiedefeld said Metro has also inspected and made repairs to the tunnel ventilation system. He said Metro is advancing the design of a new radio system to improve public safety communications through the rail tunnels. The CEO said he is recruiting a new chief safety officer to monitor day-to-day activities and promote a stronger safety culture throughout Metro. Carol Glover, 61, of Alexandria, Virginia, died during the incident. She was the first fatality on the Metro system since a 2009 crash that killed nine people. There were service interruptions over the next few months after the incident, highlighting the problems Metro was experiencing at the time. A recent Federal Transit Administration safety directive, issued in December 2015, ordered Metro to take action on numerous safety findings, some dating back since 2008. The Metrorail system, which connects Washington with the Maryland and Virginia suburbs, carries an average of 721,000 passengers each weekday. Smoke and fire are not unusual on the subway system, which opened in 1976.